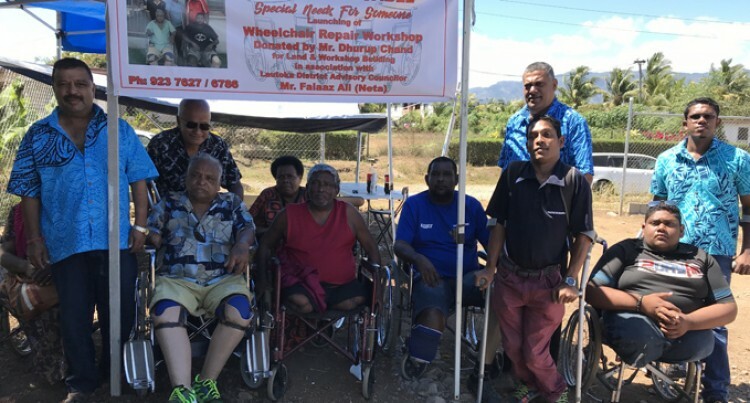 The construction of a facility to help repair wheel­chairs at Lovu,Lautoka, has been described as a welcome initiative. The initiative is the brainchild of Dhurup Chand, a product of humble beginnings who said it was always his dream to construct a facility such as this. “I have seen disabled people always getting neglected and it worried me every time I came across it,” he said. Mr Chand said the new facility would help provide wheel­chairs as well. “This in in line with the work of the Bainimarama Gov­ernment and the Government has also commended us on our work,” he said. Mr Chand has also been providing free transport ser­vices, driving disabled people to hospital and back to their homes for the past three years. “I know how it feels to have nothing and that’s why I’m trying to do something to help them,” he said. Mr Chand is asking the general public to donate any bro­ken wheelchair in their homes so that the facility can re­pair them and pass them on to the needy. The initiative has been praised by members of the public. Joseph Ali, 18, of Tomuka, Lautoka, said nothing as such had ever happened before and he was happy about it. Mr Ali said the cost to repair a broken wheelchair would no longer be a problem because the new facility would pro­vide services for free. Fereti Seferon, 58, on Vakabuli, Lautoka, said the facil­ity would be a milestone for the region and the country as well. The construction of the facility is expected to be complet­ed at the end of this year.